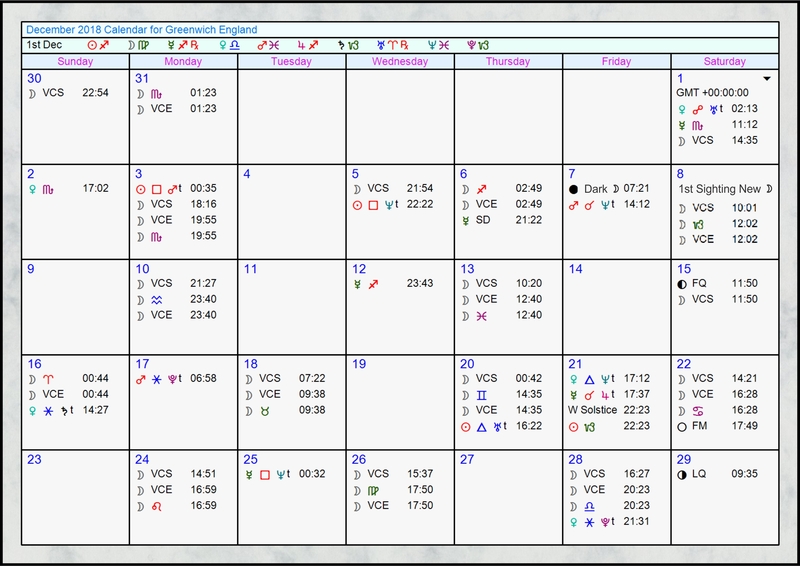 The monthly Aspects calendar has been sourced from Janus software and the times are set for GMT. The major aspects are shown (conjunction opposite square trine and sextile) to the lights (Sun and Moon), the 5 visible planets (Mercury Venus Mars Jupiter and Saturn) and the 3 outer planets (Uranus Neptune and Pluto). 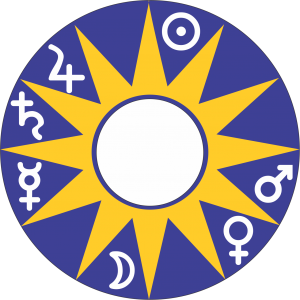 A distinction is made between the new Moon and the dark Moon and the first sighting of the new Moon is shown.